Danny Lee Chriswell, 86, of Rockford passed away Sunday, August 26, 2018. Born October 18, 1931 in Rockford to Edwin and Catherine (Ginney) Chriswell. A veteran of the US Navy. Married Pauline (Polly) Spehar in 1955, she predeceased him in 1989. Married Louise (Piszczek) Larson on July 4, 1991. Dan was an excellent car mechanic and owned several service stations over the years. 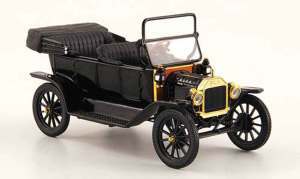 He also was a member of the Model T Ford Club, was a Shriner and enjoyed restoring antique cars. Survivors include wife, Louise; daughter, Kathy Hornsby and grandson, Nick Rudolph (daughter, Lilly); step-children, Mark (Sandy) Byers, Lori (Scott) Smith, Lisa (Trisha) Larson, Jerry (Sondra) Larson; six grandchildren; and three great-grandchildren. Predeceased by parents; first wife, Polly; brothers, William and Robert and granddaughter, Amanda. Memorial service will be held on Saturday, September 15, 2018 at Northeast Christian Church, 5651 E. Riverside Blvd., Rockford. Visitation will be held from 10:00am to 11:00am with the service at 11:00am with luncheon following.